Boston is a beautiful waterside town that's meant to be savored and enjoyed, so slow down and get to know the city on a walking tour. Step by step, you'll uncover the secrets of the city, from historic architecture to vintage Italian bistros and modern movie sets. 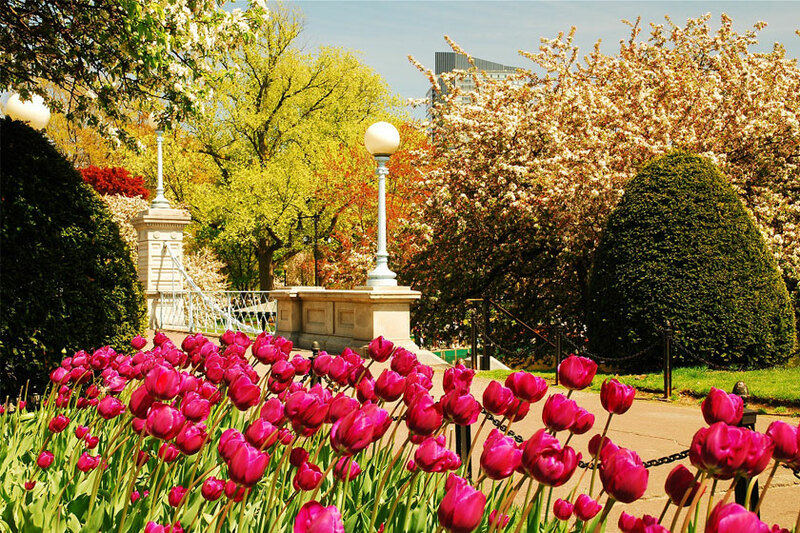 Follow the path that fits your interests forge a new personal connection on Boston walking tours. Bring your appetite along for the ride on a walking tour that explores a few of the 100+ restaurants, cafes, bakeries, and delis in Boston's historic North End. Numerous companies offer food tours of this culinary hotspot neighborhood, including Secret Food Tours Boston, Boston Foodie Tours, and Michele Topor's Boston Food Tours. Tours are around two and a half to three hours long and stop at 5-6 locations. The North End is such a popular place for food tours because of its rich Italian heritage. Try local favorites like brick-oven pizza, fresh seafood, pasta dishes, deli sandwiches, and Italian desserts. A food tour of the North End is the perfect way to savor the unique Boston spin on Italian cuisine. Traipse through the most filmed neighborhood in Boston on this unique tour for movie fans with On Location Tours. The Boston Movie Mile Walking Tour is led by a local actor who will take you to 30 different scenes from movies and TV shows like Good Will Hunting, The Thomas Crown Affair, Amistad, Ted, and The Departed. Have a drink at the original bar from the hit TV show Cheers and see the Dunkin Donuts from The Town. Go behind the scenes on this 90-minute tour, which covers diverse locations including park benches, historic homes, streets, neighborhoods, and a mob hangout. 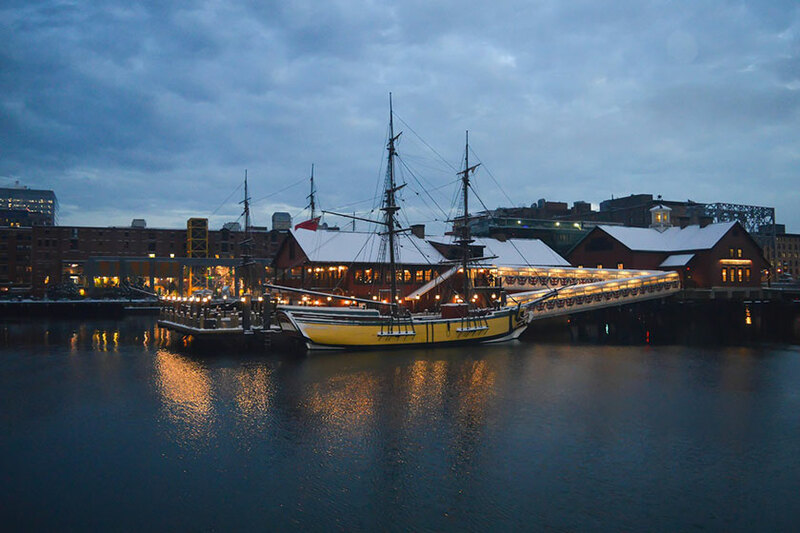 Located near the North End next to Rose Kennedy Greenway Park, this airy indoor marketplace with dozens of local vendors is a great destination to learn about New England products and produce. You can talk to the makers, growers, fishers, and ranchers in person, and pick up some excellent souvenirs to take home. Free one-hour tours are offered on Tuesdays and Saturdays at 10:00 a.m. and 11:00 a.m. Boston Foodie Tours also offers a combo tour with Boston Public Market and the North End, with samples of doughnuts, roasted nuts, honey, and lobster rolls - all produced locally. Learn about the oldest university in the United States, from the famous statue of John Harvard to the Plaza and Harvard Yard. Opened in 1636, Harvard University is a place that's full of stories about the famous scholars who attended, including six U.S. presidents. The school itself offers student-led, outdoor tours that depart from the Harvard Information Center and cover Harvard Yard. You'll also find "pay-what-you-wish" tours from Free Tours By Foot that cover Harvard University as well as the surrounding area of Cambridge. For a more theatrical experience, opt for The Harvard Tour by Trademark Tours, which include Harvard Yard and historic buildings like Memorial Hall, The Widener Library, and the Harvard Lampoon. You'll also tour sites in the neighborhood of Harvard Square, like Winthrop Park and Mt. Auburn Street. Official tours are offered by The Freedom Trail Foundation and feature guides costumed in 18th-century clothes. The tours last 90 minutes and cost $12. "Pay-what-you-wish" tours are also available from Free Tours By Foot, and you'll find a photography-focused tour by PhotoWalks. Tired of walking? Boston Trolley Tours let you hop on a trolley and ride between most of the sites. 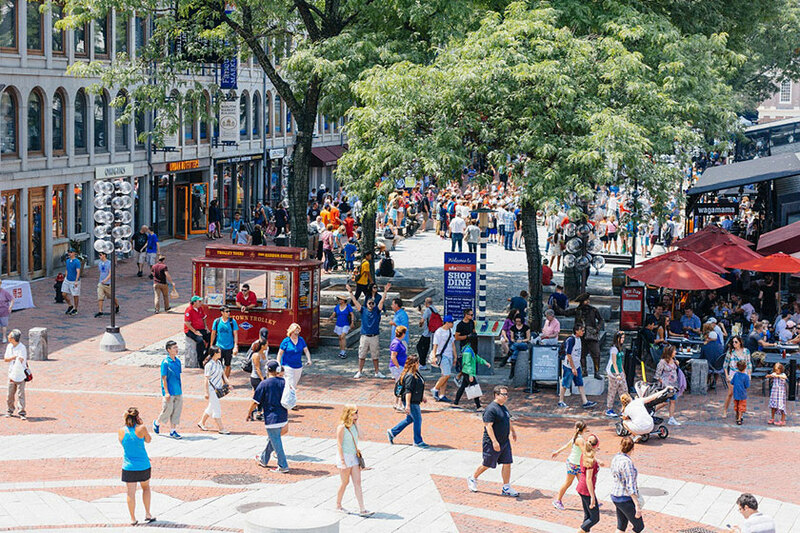 Walk, saunter, and stroll to top attractions and meeting points when you stay in the heart of the city at our hotel, which is steps away from Boston Common in the lively Theater District. Enjoy every moment of your getaway at our one-of-a-kind hotel that's inspired by Boston's unique spirit of freedom and distinct historic character. Unwind in a boutique-style room with a flat-screen, balcony, and beautiful city views. Hit up the fitness center or kick back in the rooftop pool. After a day of Boston tours, recount your adventures in our funky lounge or sip a cocktail by the pool. Cultivate a new connection with a historic city and embrace its fully modern charms.